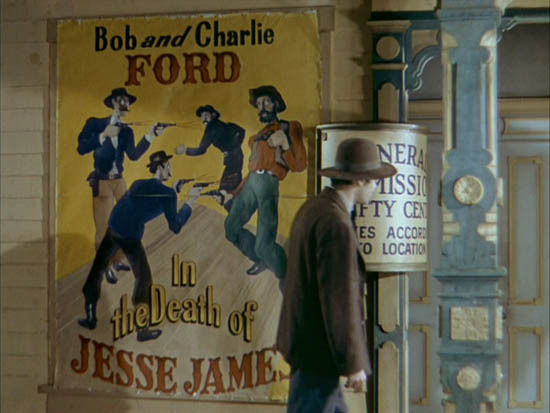 Not as interesting as Sam Fuller’s later I Shot Jesse James, but a lot better than I’d expected. Maybe I can enjoy a Western more than I’d thought. 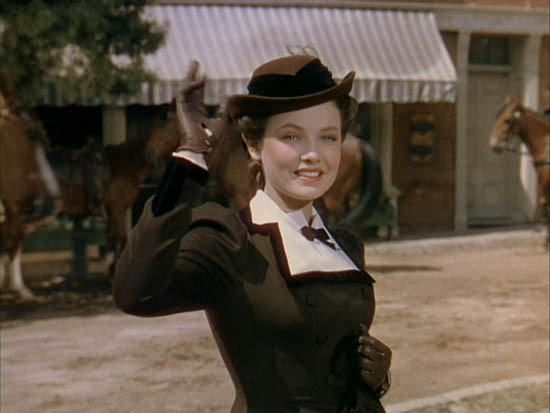 Some story differences, too… for instance, Fuller’s movie has Bob Ford re-enacting the murder as a play pretty much the same way it happened, while Lang’s has the Fords camping it up onstage and acting the heroes. Don’t know which really happened, but each version was well-suited to its own movie. 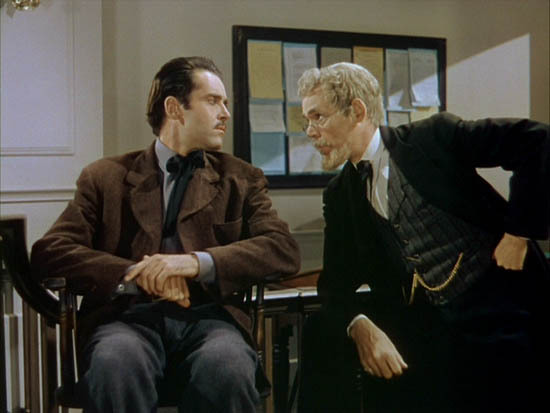 Henry Fonda is James, hears news of Jesse’s death and sets out with young Jackie Cooper (not Jackie Coogan) to get Bob Ford (a nervous bearded John Carradine) and brother Charlie. Not technically the last Fritz Lang film I have to see, but the last one available until Human Desire shows up on cable again. That’s 36 down, 1 to go! Guess I’ve been trying to watch all of Lang’s movies since college, so seven years. At around five per year, it didn’t go nearly as fast as my Sam Fuller quest. Even if I didn’t pick up on the geometric patterns hidden within Lang’s mise-en-scene that auteurists wet themselves over, it was neat to see forty years of cinema from one director’s perspective. He covered 1920 to 1960, the period I know least about, and Sam Fuller was 1950 to 1990. And they both made so many movies… gives me a convenient handle on chronology. Oh, 1953, that was the year Pickup On South Street and The Big Heat came out. Anyway, on now to Bunuel, Rivette, Marker and Resnais for a western european perspective.